Every week we'll be reviewing the worst gambling beats, upsets and wild finishes in the NFL. Here is the rundown for Week 12, highlighted by a wild ending between the Panthers and Seahawks. Every week we'll be reviewing the worst gambling beats, upsets and wild finishes in the NFL. Here is the rundown for Week 12, highlighted by a wild ending between the Panthers and Seahawks. ## A Carolina meltdown What a meltdown by the Panthers (-3) on Sunday. 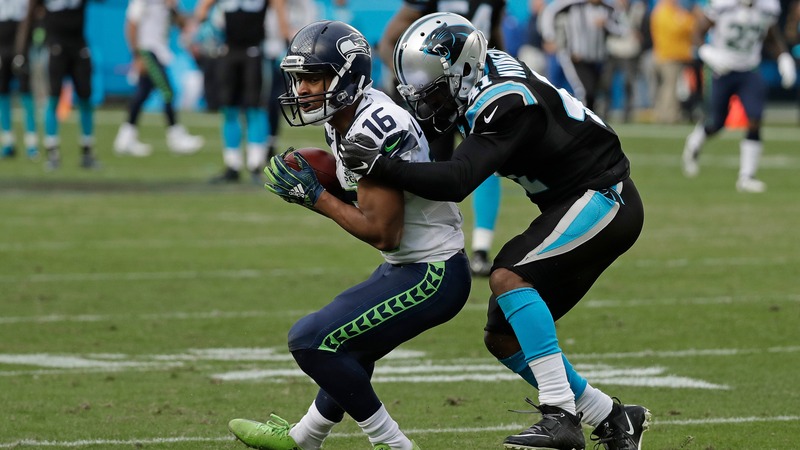 Carolina led 27-20 and Seattle faced a 4th-and-3 from the Panthers' 35-yard-line. A stop and Carolina is one first down away from a win and cover. Instead, Russell Wilson threw a 35-yard touchdown pass to David Moore to tie the game at 27. The Panthers weren't dead yet though. Cam Newton drove Carolina to the 36-yard-line. Graham Gano attempted a 52-yard field goal with 1:45 remaining to give Carolina the lead but he pushed the kick right. With the game still tied, Russell Wilson hit Tyler Lockett for a big 43-yard gain. Sebastian Janikowski went on to hit a 31-yard game-winning field goal in the final seconds to give the Seahawks the 30-27 win and cover as three-point dogs. Panthers bettors were left to wonder what would have been if the Seahawks hadn't scored on that fourth-down play. __More NFL:__ [Bears need more from Jordan Howard](https://www.betchicago.com/bears-jordan-howard-stretch) ## Big favorites cover late The Patriots and Ravens were both laying 13 points on Sunday. Each team covered but it wasn't easy. New England was tied 13-13 with the Jets late in the third quarter. However, two straight touchdowns by the Patriots gave them a 27-13 lead. If the two straight touchdowns weren't bad enough for New York bettors, the Jets drove down the field late with a chance to score. They got to the Patriots' 4-yard line but an incomplete pass by Josh McCown on 4th-and-2 ended any hopes of a Jets cover. The Raiders fought hard against the Ravens, pulling to within 20-17 late in the third quarter. Much like the Jets though, Oakland imploded in the fourth quarter. The Ravens scored to make it 27-17. Then Terrell Suggs returned a fumble 43-yards for a touchdown with 6:11 remaining to give Baltimore a 34-17 win and cover. The big favorites made bettors sweat early on Sunday but ended up delivering in the end. ## Broncos upset Steelers and Pittsburgh fails OVER bettors Despite outgaining the Broncos by 219 yards, the Steelers were unable to get the job done as three-point road favorites. The Steelers were inevitably done in by four turnovers, the last of which cost them a chance to tie the game late in the fourth quarter and also cost OVER bettors an almost certain cash. Trailing 24-17, the Steelers drove the ball all the way down to the Broncos 2-yard line. However, on third-and-goal, an attempted pop pass over the top to Antonio Brown wound up in the arms of defensive lineman Shelby Harris, who had dropped back into coverage. With the total at 48, a touchdown in that situation would have forced a push and anything but a scoreless overtime would have led to a cash. Instead, the Broncos went on to win, making them the third underdog to win outright on the day. All three of those underdogs (Denver, Buffalo and Seattle) were three-point underdogs.